Every morning, young professionals run out of their apartments in Chicago without taking the time to eat a nourishing breakfast first. What's worse, it's unlikely that they are getting all the nutrition they need throughout the day. A recent report from the CDC says nine out of ten adults don't eat enough fruits and vegetables. Luckily, both problems can be solved by making a breakfast smoothie part of your routine. As most people know, calling something a smoothie doesn't automatically make it healthy. Many commercial smoothies are laden with hidden sugar and fat. But, by making your own at home, you can control the ingredients and get a healthy start to your day. Start with frozen fruit. Add 1/2 to 3/4 of a cup of fruit to the blender. By starting with fruit that's already frozen, you don't need to worry about diluting with ice. Add one cup low-fat and low-sugar liquid. This can take the form of no-sugar-added fruit juice, dairy or almond milk, or plain, non-fat yogurt. Blend in some protein and fiber. These ingredients will make a smoothie more filling and help tide you over through the morning. Peanut butter, nuts, rolled oats and chia seeds are all popular. Use anything from a tablespoon to a 1/4 cup depending on the ingredient and its calorie count. Add an optional vegetable nutrition booster. Popular choices include common ingredients like spinach and kale to more unusual additives like spirulina. By choosing from a list of potential ingredients instead of working from set-in-stone recipes, you can vary your smoothie each day to keep your breakfast choice interesting. 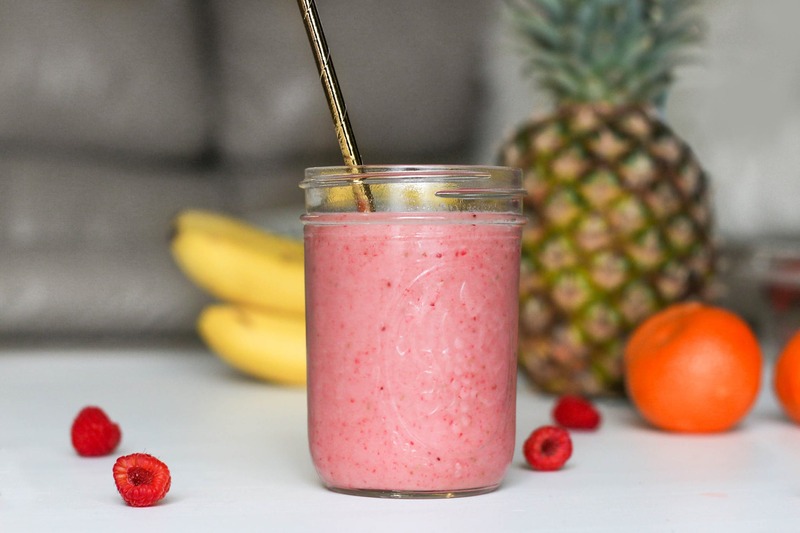 The master smoothie also means you can customize based on the best fruits and vegetables you find in the market, as well as ingredients you need to use up. Each smoothie takes just a few minutes and helps you start the day in a healthier way. Are you looking for a community that fits your healthy and active lifestyle? The Beldon-Stratford offers amenities like complimentary bike storage, outdoor grilling spaces, 24-hour health and fitness center and more. Make an appointment for a tour today.